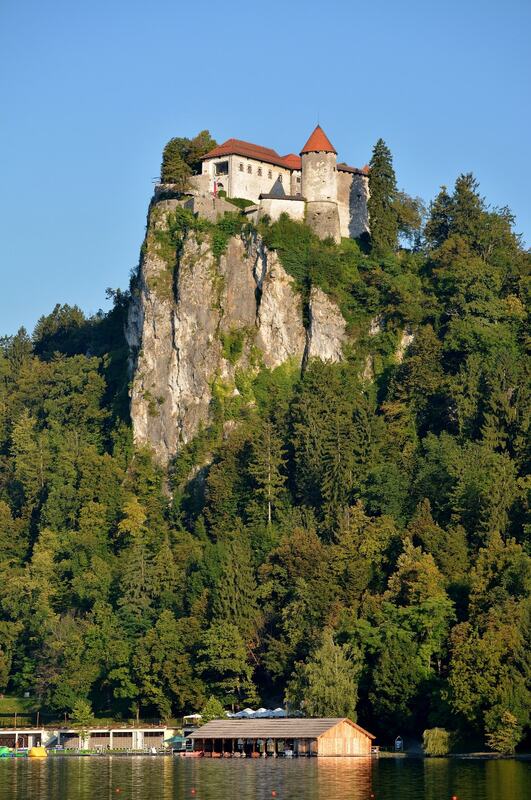 Bled Castle is a medieval castle built on a cliff 130m above the city of Bled in Slovenia, overlooking Lake Bled. 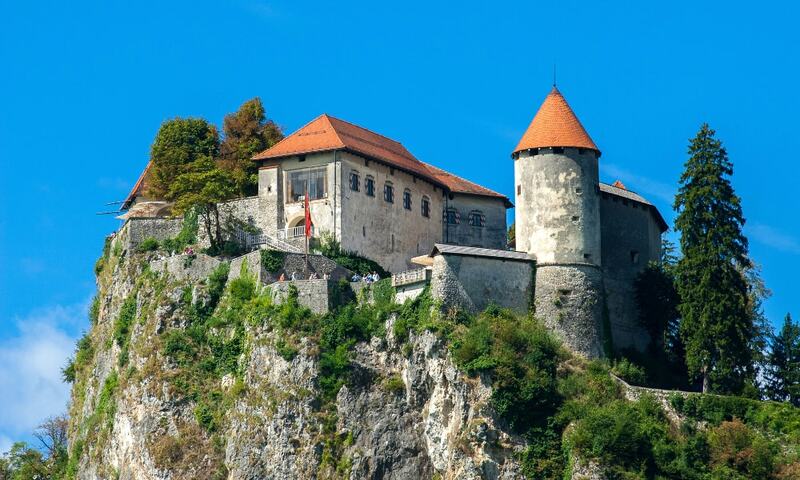 Many sources identify it as the oldest castle in Slovenia. The castle was first mentioned in a 22 May 1011 deed of donation issued by Emperor Henry II in favor of the Bishops of Brixen. At that point in time, it was located in the March of Carniola. The Castle passed to the Austrian House of Habsburg in 1278. The Castle buildings are arranged around two courtyards connected by a staircase. The oldest part of the castle is its Romanesque tower. The Upper Courtyard contains a chapel built in the 16th century. The chapel is painted with illusionist frescoes. The view from the castle is breathtaking.